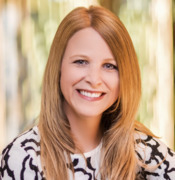 Kristin Harmel is an international bestselling novelist whose books have been translated into numerous languages and are sold all over the world. A former reporter for People magazine, Kristin has also freelanced for many other publications, including American Baby, Men�s Health, Glamour, Woman�s Day, Travel + Leisure, and more. Her latest novels � The Sweetness of Forgetting, The Life Intended, How to Save a Life, and When We Meet Again � are out now from Gallery Books/Simon & Schuster. Her latest, The Room on Rue Am�lie, a tale of three lives that collide in Paris during World War II, is due out in March 2018 from Gallery Books/Simon & Schuster. Kristin grew up in Peabody, Mass. ; Worthington, Ohio; and St. Petersburg, Fla., and she graduated with a degree in journalism (with a minor in Spanish) from the University of Florida. After spending time living in Paris, she now lives in Orlando, Fla., with her husband and young son.